Morocco is one of popular travel destination in North Africa. This country is full of cultural diversity, along with historical value that has drawn lots of attention from travelers around the world. Those cultural and historical values influence many aspect of Moroccans life including their authentic foods. Of course, food is one of the most important part of travel. It is not only to sustenance. For every food exist in one place, there is always story behind it either from the aspect of culture or history, or both. As for Moroccan foods, they are mostly influenced by Jewish, Berber, Arab, as well as French culture. Tagine can be considered as iconic culinary thing in Morocco. It is a clay cooking pot with conical lid. Multiple types of dishes are slowed cooked inside such as chicken, lamb, beef veggies, etc. it is like a hotplate serve. There are various dishes offered inside that you can order based on your preferences. You will enjoy the food directly from the tagine while it is still hot. Do not touch the tagine or you will burn your hand. 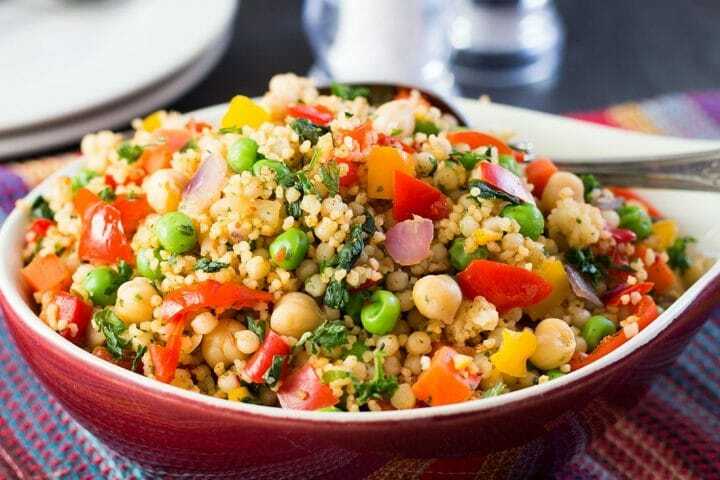 Couscous is also popular as must-try Moroccan food. Even though you have been familiar with this dish, it will be different when you try it in Morocco yourself. Couscous is authentic dis which is usually served with vegetable stew and meat. Traditionally, Moroccans cook and serve this this during special events or on Muslim holy day (Friday or Jumuah Prayer). However, you can find this dish almost everywhere regardless the occasion and place. Most restaurant and cafes in Morocco serve this authentic Moroccan dish. Chermoula is Moroccan food in which fish is the star of the dish. This food is made by grilling or baking the fish and other seafood with a mix of spices and herbs in the process. The unique flavor also come from various ingredients such as coriander, onions, saffron, and chili pepper. Pastilla is a chicken or pig pie that Moroccans love. Pie is not uncommon food. Indeed, you may eat it on regular basis. However, this Moroccan pie is more unique and special because it offers more than sweet flavor. There is also saltiness you can taste from this dish which comes from pigeon or chicken. This pie is also flaky which makes it more irresistible to devour. Khobz is a Moroccan bread typically baked in communal wood-fire ovens. It is often served with lots of meat. Thus, meat lovers should try this one of a kind bread. Aside from Khobz, there is another authentic Moroccan bread called Harcha, Rghaif, and Baghira. Those are buttery bread, flaky flat bread and spongy crumpet respectively.